Annette (57) and Edward McCluskey (61) of Pearse House in Dublin, pictured at the Dublin Circuit Criminal Court where they both received suspended sentences Pic Collins Courts. 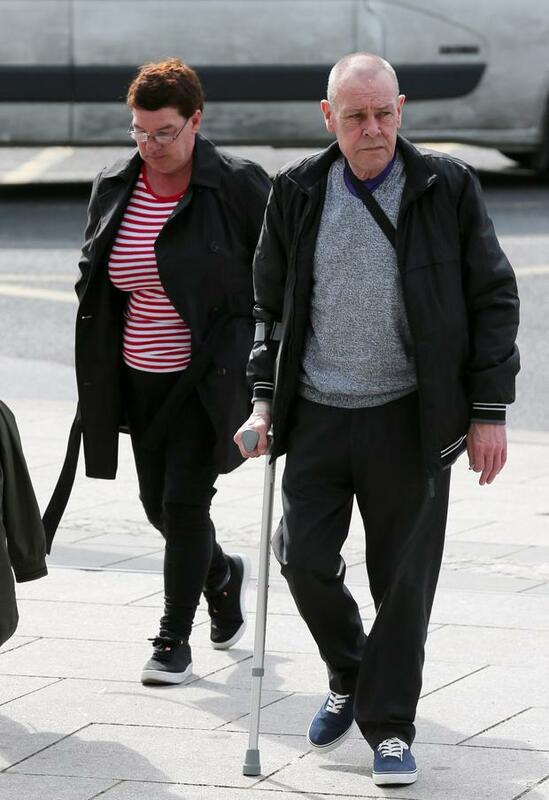 Two grandparents have avoided going to jail after they admitted fraudulently claiming more than €72,000 in social welfare payments over 11 years. Annette McCluskey (57), who was working as a cleaner under an assumed name, received a three-year suspended sentence at Dublin Circuit Criminal Court, while her husband Edward (61) was handed a two-year suspended sentence for falsely claiming adult-dependent allowance payments. The court heard arrangements have been made for the couple to pay €28 a week to the Department of Social and Family Affairs to offset the debt and that, to date, they had repaid more than €3,000. Announcing her judgment yesterday, Judge Karen O'Connor said it had taken some time, serious thought and the assistance of the Probation Services to come to her conclusion not to impose a custodial sentence. She said there was no reality to community service, given the circumstances and ill-health of the McCluskeys, who live at Pearse House in Dublin. Judge O'Connor said the headline sentence for Annette McCluskey, who had no previous convictions, was five years and three years for Edward McCluskey, who had 13 previous convictions, but that she had to consider the mitigating factors in making her decision. "This was not a victimless crime," said Judge O'Connor. "There were multiple counts over a considerable period of time. The Exchequer was left at a significant loss, and funds which might have helped our health services or education services have been lost." However, the judge said the McCluskeys had learned a "salutary lesson", were embarrassed by this matter coming to light and were unlikely to re-engage in this type of offence. She accepted that the pair showed no signs of a lavish lifestyle or trappings of wealth and that Edward's alcohol addiction had impacted on his wife's financial means, and also on her quality of life. "What is apparent is that she is a person who has worked hard to rear her children," said the judge of Annette McCluskey. "She has made a positive contribution to her community, volunteering for 17 years assisting with senior citizens."